A presentation on the destination—accompanied by the delightful dishes of Chef Betty Vázquez—was offered to 40 domestic media. As part of the Riviera Nayarit Convention and Visitors Bureau (CVB) intense public relations efforts the organization recently offered a press conference to the top media in Mexico City. The highlight of the event was an exquisite meal prepared by the Riviera Nayarit’s culinary ambassador, Chef Betty Vázquez. Forty of the city’s best media attended the event, guaranteeing ample domestic coverage. 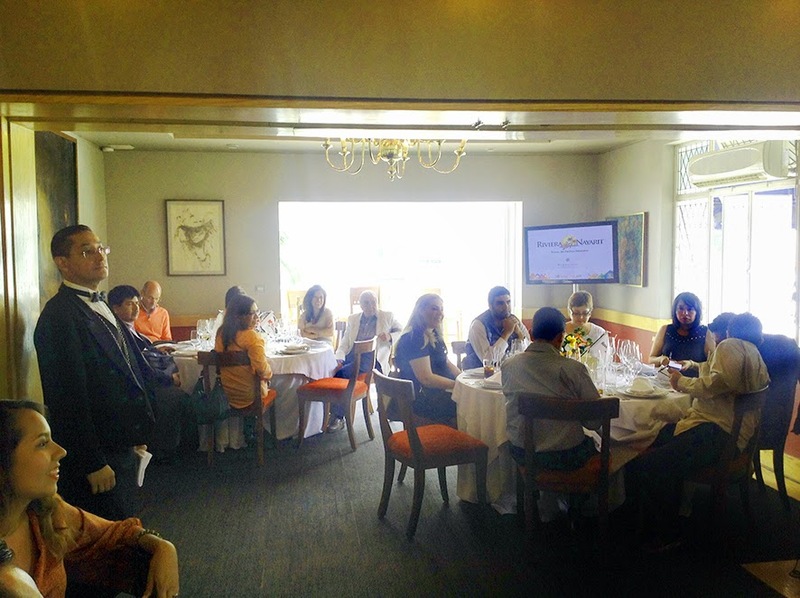 The event took place in mid-May at the Estoril restaurant in Mexico City, where the Riviera Nayarit CVB announced the results from 2013 and gave them updates for 2014 for Mexico’s Pacific Treasure. Among the attendees specializing in tourism were: El Souvenir, Boletín Turístico, Travel + Leisure, Travesías, Travel & News and National Geographic Traveler, just to mention a few. The business papers included: Alto Nivel, CNN Expansión, Mundo Ejecutivo, Newsweek, and NEO. Among the culinary magazines: Turismo Gourmet, Food & Travel, El Gourmet, Saborearte and El Conocedor. The always important social and lifestyle magazines included: Life & Style, Maxwell, Orange Grupo Editorial, Deep, Esquire, GQ, Time Out, Robb Report, Amura and Hotbook. There were also general information media present, including: Publimetro, Reforma, El Universal, El Economista and Excelsior. At the end of the event, the reporters were satisfied with the quantity and the quality of the information provided. They were also quick to congratulate Betty Vázquez for the delightful dishes she offered during the meal. The press conference generated short-term results in many of the country’s media, thanks to the hundreds of thousands of impressions created by the joint circulation of the 40 media that were present. These public relations efforts are all part of the focused positioning strategy for the brand on a domestic level, as Mexico delivers the highest number of visitors to the Riviera Nayarit.